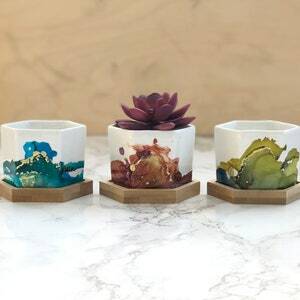 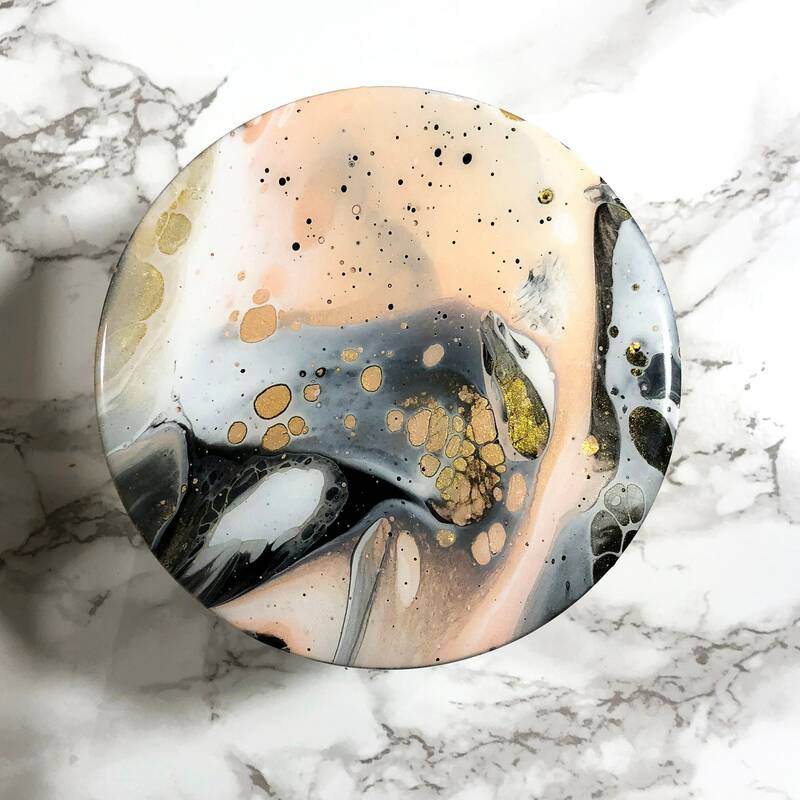 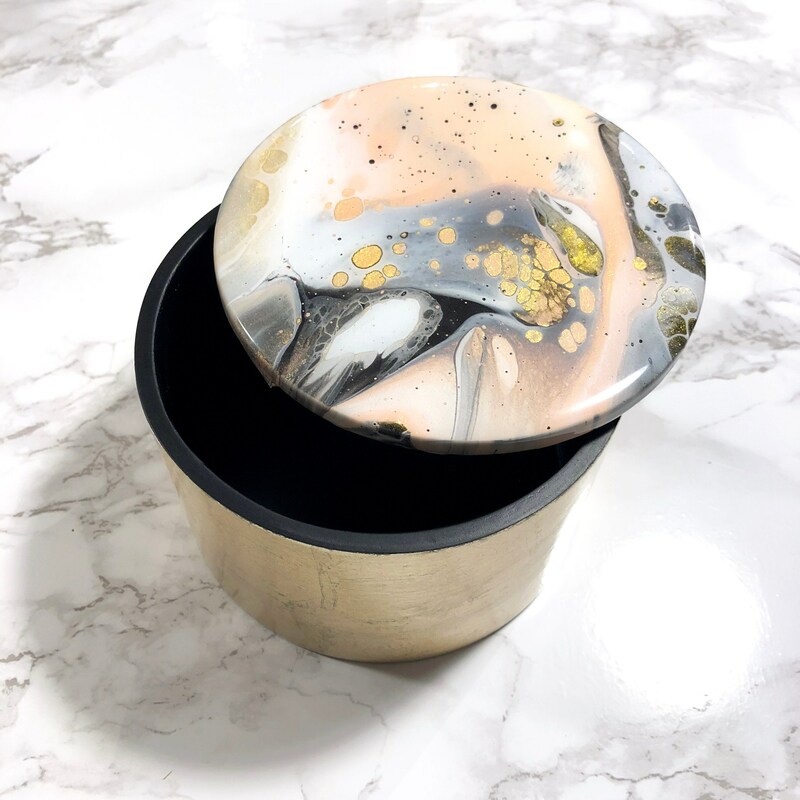 This beautiful little trinket box is perfect for holding all your precious baubles, and can be customized with colors of your choosing on the lid - perfect to fit whatever your decor may be! 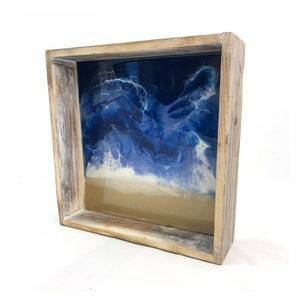 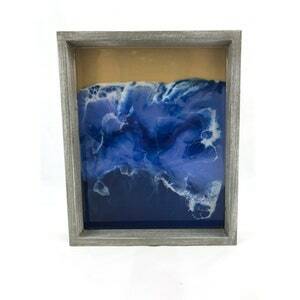 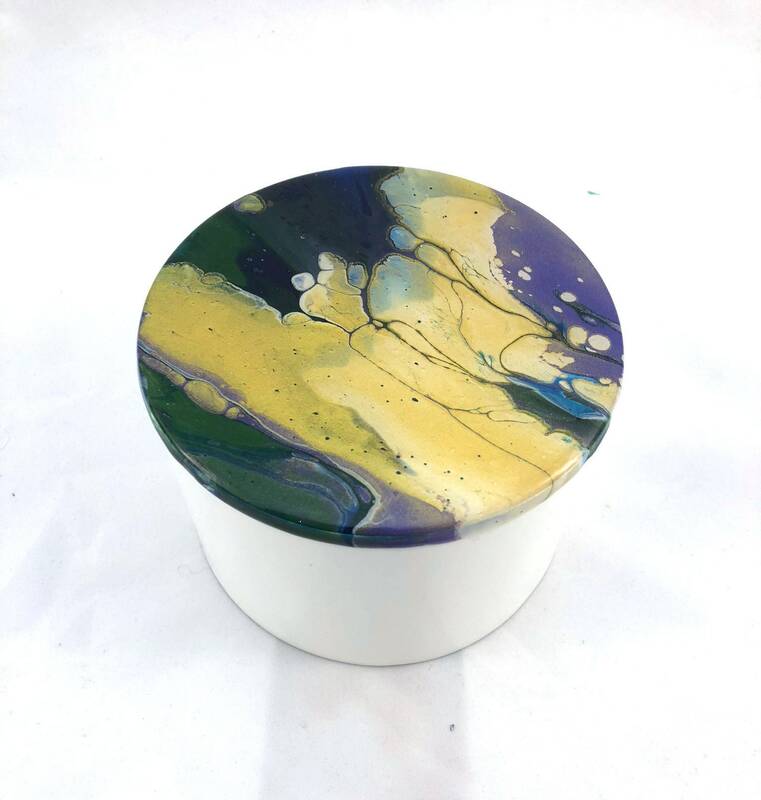 A lacquer box topped with a hand-marbled, resin coated lid with a glass-like shine. 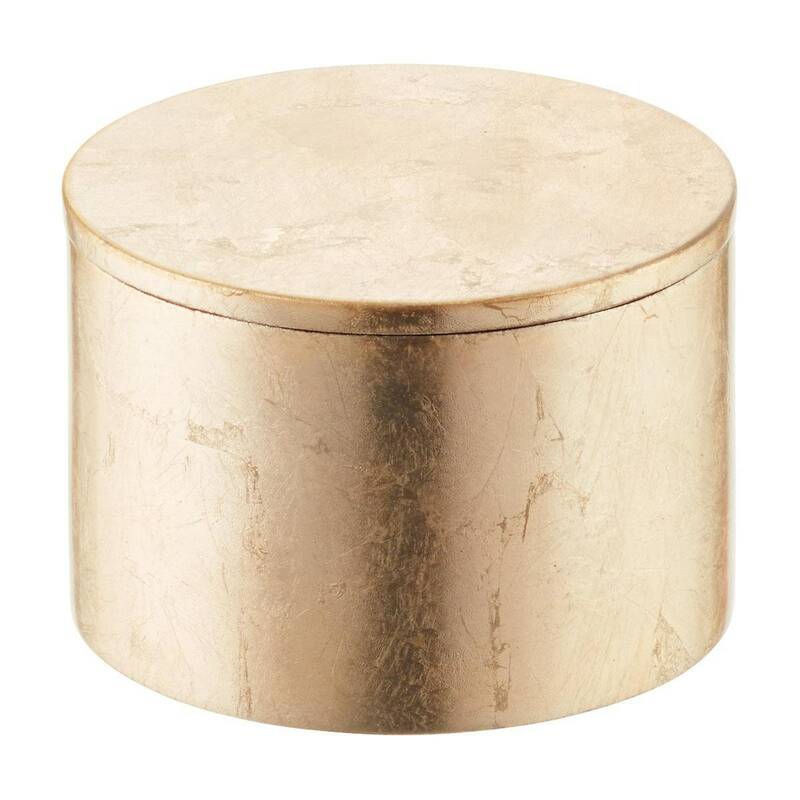 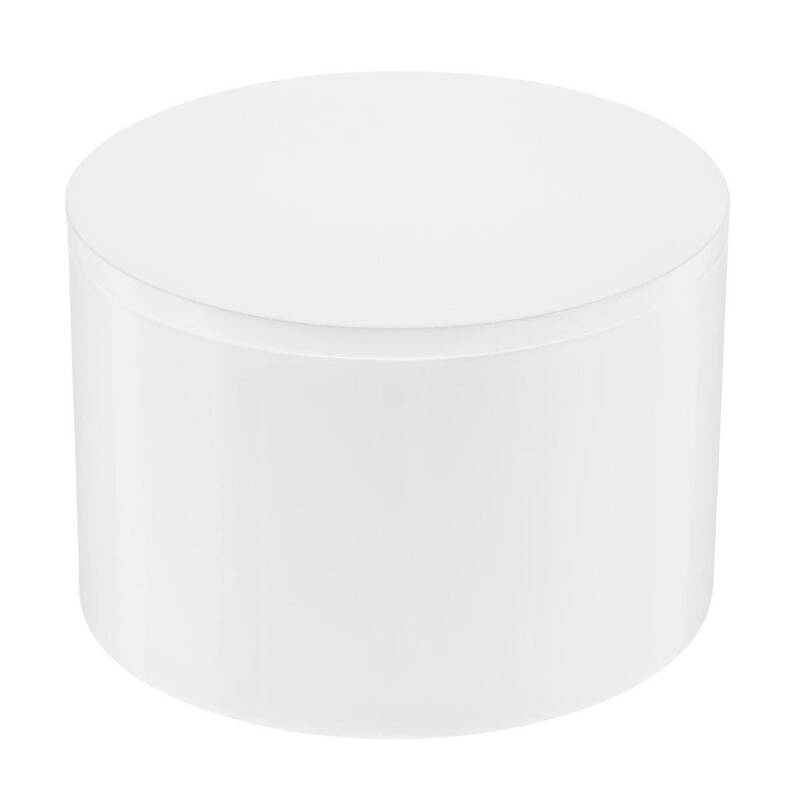 The box is approximately 5" round and 3.5" deep.. A perfect catch-all for your bathroom counter or bedside table! 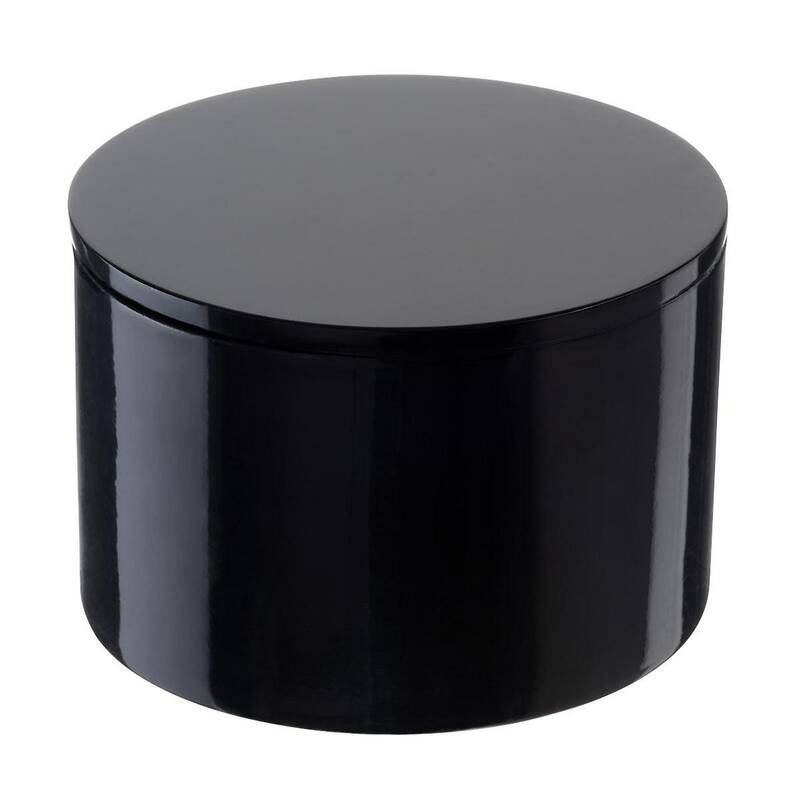 The box is available in white, gold, or black. 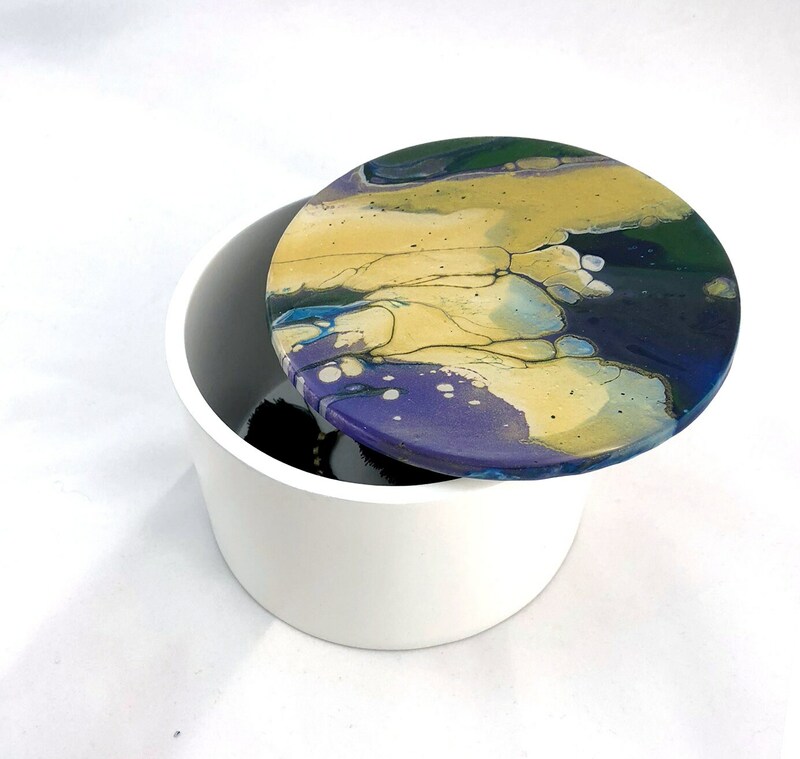 The marbling on top is available in as few as two colors or as many as six! 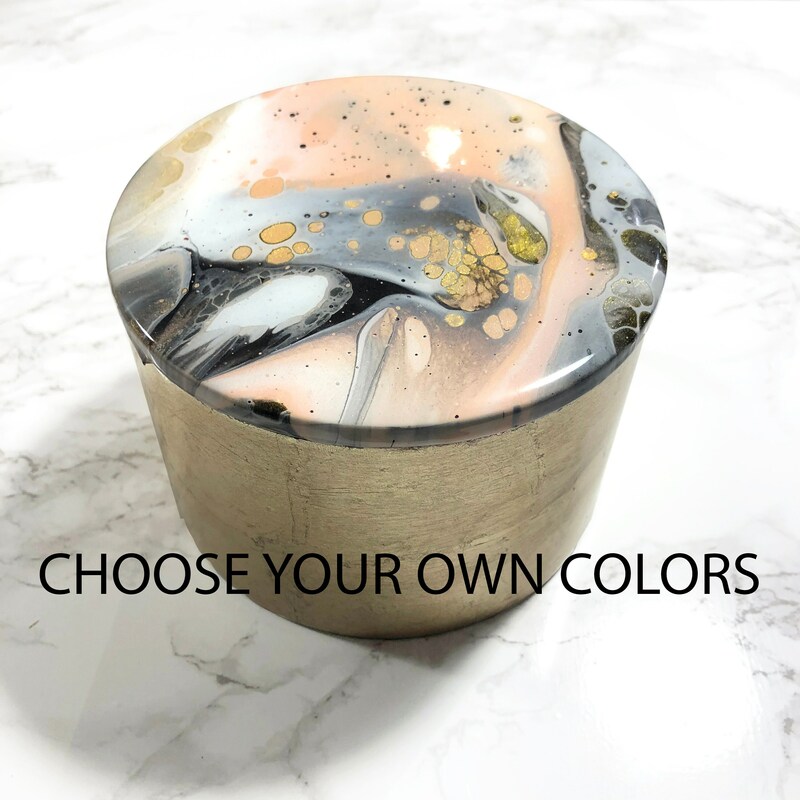 ORDER DETAILS: when ordering, please choose your box color from the variations and fill out your color choices in the order notes. 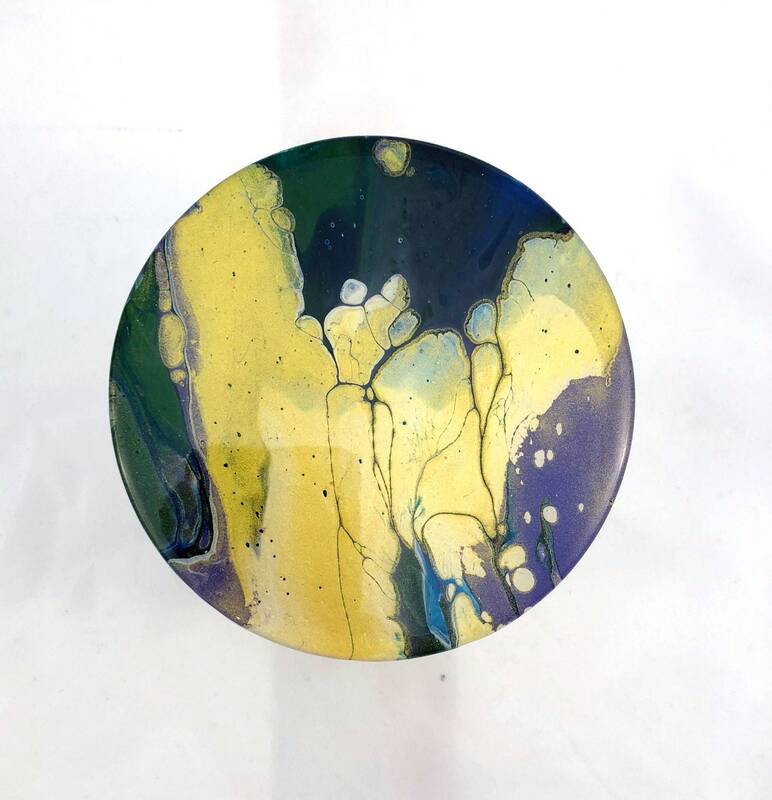 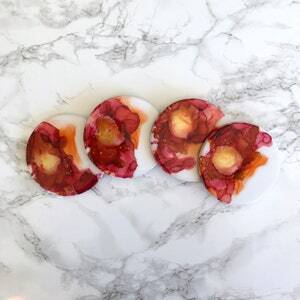 I will send you a proof of these colors for final approval before marbling your coasters; up to two revisions of these colors are included in the price - additional revisions will incur an additional set up fee.